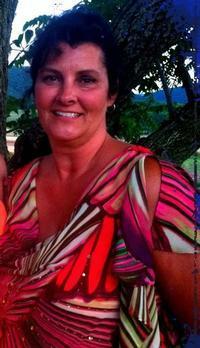 We are writing on behalf Lori Densberger Lowery, a class of ’83 graduate of Columbia-Montour Vo- Tech. While in high school, Lori was diagnosed with acute leukemia. At the time, Lori’s doctors informed her family that she would leave the hospital in one of two ways – a miracle from God or through a funeral home. Lori was so fortunate — she received that miracle! However, the chemotherapy proved to be so intense that it damaged her heart. Lori has been in need of a life-saving heart transplant for quite some time. She has been evaluated for the transplant at the Hospital of the University of Pennsylvania. At the present time her heart is operating at an 8% ejection fraction. Even with insurance, Lori will have many uninsured, transplant-related expenses such as: co-pays and deductibles, doctor visits , travel to and from the transplant center and the costly immunosuppressant medications that she will need to take for the rest of her life. To help with this financial burden, a fundraising campaign in Lori’s honor has been established with HelpHOPELive, a nonprofit organization that has been assisting the transplant community for 30 years. All donations are tax-deductible, are held by HelpHOPELive in the Mid-Atlantic Heart Transplant Fund, and are administered by HelpHOPELive for transplant-related expenses only.For more information, please contact HelpHOPELive at 800.642.8399. Thank you for your prayers and financial support. Your contribution is greatly appreciated and means more than words could ever express. Together we can all make a huge difference in the life of this 47-year-old mother of three children and grandmother of three as well. Spaghetti Dinner at the Maria Assunta 901 Monroe Street. Berwick,PA 18603. Tuesday July 16th from 4-7 PM. Adults $8.50. Children under 10 $3.50.